Nashville-based folk-hop band, Judah & the Lion, just kicked off a new tour with singer-songwriter Ben Rector. The trio, consisting of Judah Akers (vocals/guitar), Brian Macdonald (mandolin) and Nate Zuercher (banjo), formed in 2011 while attending Belmont University. Last September, they released their debut full-length, Kids These Days. Their unique blend of styles including southern grit, rock n roll, bluegrass and gospel has landed them several spots on various Billboard charts. Judah & the Lion kicked off their most recent tour, The Brand New Tour, with Ben Rector in Cleveland, Ohio on September 17th. Because of their recent extensive touring, the band has become known for their youthful, passionate, and spirited performances. Learn more about Judah & the Lion from their responses and be sure to check out the music video for “Rich Kids” below. Don’t forget to check out the rest of Kids These Days and catch them in a city near you! College kids didn’t know each other. Jock and music majors come together after a random phone call and hit it off!! Played music for the first time and never looked back. 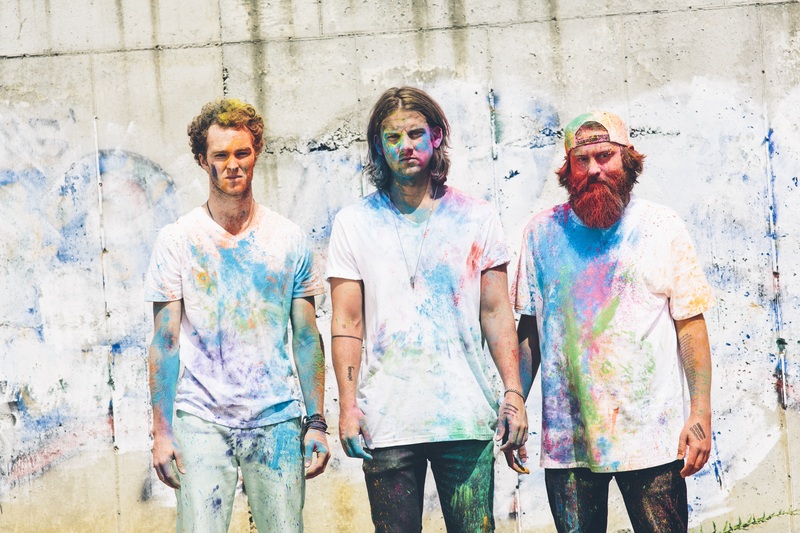 What made you pick the band’s name, Judah & the Lion? It’s like naming a baby I would imagine. But coming up with it with 3 people it’s a bit more difficult. We liked the name Judah cause it was unique and we loved what a lion represented. All kinds. We all are different. Nate is a metal punk kid from the 90s. Brian likes classical stuff, Irish and blue grassers, and Judah yields from 70s and 80s rock to 90s hip hop. We love it all. It’s always different. What inspires us is the key and staying true to who we are as people. Sometime the melody comes. Sometimes a lyric comes. Just let music be music. We hate overthinking. Cause that’s not what music is to us. A lot. : ) Touring is practice. Haha we love playing together. From start to finish, how long did it take to create Kids These Days? Can you talk about the inspiration behind some of the tracks on Kids These Days? We love them all to be honest. Everyone is different but it’s hard to have a favorite. Kinda like having multiple kids. Would you pick a favorite or would you just love them all for uniqueness? Hopefully a joyful one. Lighthearted yet deep. Umm… We love our van. And her name is Cleatus and she is awesome. What can we expect from Judah & the Lion in the coming months? New record and it’s literally something we are so excited about. Done with the same producer as last time but just better. We cannot wait. Help us spread the word. : ). Much love. This entry was posted in Interviews and tagged band interview, Ben Rector, cleveland, folk, folk-hop, hop, interview, Judah, Judah & the Lion, Judah & the Lion band, Judah & the Lion interview, Judah & the Lion music, Kids These Days, Kids These Days album, pop, rich kids, The Brand New Tour. Bookmark the permalink.